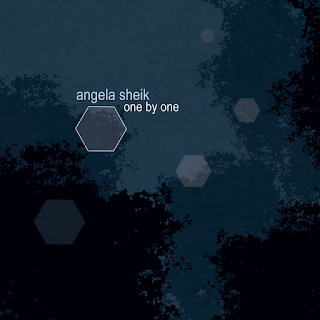 Angela Sheik recently played to a sold-out crowd at The Grand for the release of her first full-length solo CD -- If you missed out, the good news is that the album, One by One, is now available, and it's a true gem. Sheik, for those unfamiliar, is a multitalented singer/songwriter/musician from Philadelphia whose style is probably described as electro-acoustic-folk-pop. If that somewhat inadequate description leaves you scratching your head, imagine soaring vocals, melodic piano, some flute, theramin, autoharp and synth, and songs that are in turn inspirational, funny, romantic and heartbreaking. The CD starts off with an epic starter, "Time to Rise," which does just that musically and vocally -- inviting you to continue on into the beautifully atmospheric world of One by One. It's one of those CDs that is challenging to listen to straight through, not because it's not a great record, or because the tracks don't flow just right, but because I kept replaying songs as I listened to them because I just didn't want to leave them yet. Standout tracks include "Rumblin'," the upbeat "Knock it Down," the haunting "Red Dress," the heartwrenching "When Will I See You Again?" and the most beautiful cover of the Elvis Presley classic "I Can't Help Falling in Love With You" I've ever heard. With the exception of the cover, all of the songs are written by Sheik; collaborators/musicians Scot Sax and Ritchie Rubini produce. One by One is available on bandcamp.com. A World Premiere Goes Onstage and "On The Air"